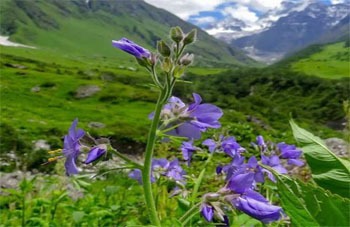 Located in the state of Uttarakhand, this town is a very important tourist destination in the region known for its stunning natural beauty, and is also called as Devbhumi, which can be literally translated to ‘Land of the Gods’. Pilgrims from all around the country flock to this region too, due to its religious heritage. Uttarkashi is home to a number of ashrams and temples and also to the Nehru Institute of Mountaineering. The name of the town reflects its similarity to and location (as north of) the city of Kashi (Varanasi). Similar to Varanasi, town of Uttarkashi is situated on Ganges, called ‘Gateway of Gangotri‘ lies next to a hill named Varun Parvat, on confluence of two rivers Varuna and Asi, has a ghat called Manikarnika Ghat and has a temple dedicated to Shiva (Kashi Vishwanath Temple)in the center of the town. Vishwanath Temple : Vishwanath Temple is an ancient Temple located 300 meters away from the local bus stand at Uttarkashi. The Temple is dedicated to lord Shiva . It is said that the temple is built by Parasuram . In the year 1857 , The Vishwanath temple was renovated by Maharani Khaneti who was the wife of Sudarshan Shah. Nachiketa Tal : Nachiketa Tal is a lake surrounded by greenery and located 29 Kms From UttarKashi. It is believed that the lake had given its name by Nachiketa , son of sage Udalak. There is no accommodation facility and visitors have come back to UttarKashi. Kuteti Devi Temple : Kuteti Devi Temple is located at the top hill of Hari Parwat , 2kms away from Uttarkashi. The temple is dedicated to the workship of Goddess Durga in the form of Kuteti Devi . It is believed that the temple was built by daughter and son-in-law of Maharaja Kota after Kuteti Devi guided him to discovered three stones of heavenly nature in Dreams. The temple is built on the banks of Bhagirathi river. Maneri Dam : Maneri dam is located on the Bhagirathi river around 8.5 kms away from Uttarkashi. This dam was constructed to divert water into a tunnel. The colour of cold water is amazingly beautiful and a dip is irresistible. Dayara Bugyal : Dayara Bugyal is the most beautiful meadow located at the distance of 32 kms away UttarKashi. Bugya means ” High Altitude Meadow ” . It is is situated at an elevation of around 3300 meters and 4000 meters above sea level. Thousands of tourist come over a year from India to this place for doing Trekking Adventurous Activities. Jolly Grant Dehradun Airport is the nearest Airport located at 162 km away and Rishikesh Railway Station is the nearest Rail-head located at 145 km away from Uttarkashi.